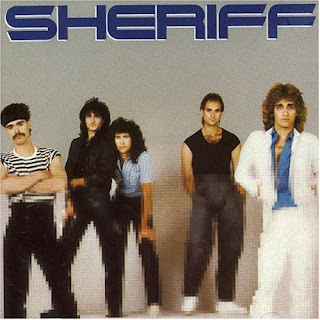 This week, we started a 3-week run discussing U.S. chart-topping Canadian act Sheriff and the groups they formed after they split up. We played several live tracks ("California," "Living For A Dream," "You Remind Me" and "When I'm With You") recorded in 1983 at The El Mocambo in Toronto. We could have just played studio tracks for this act but they only have one album. Instead, we decided to showcase that material in a form you don't get to hear from them. I really never considered technical difficulties would occur when starting this series back in 2006. Guess I never considered Murphy's Law. So, today was just one of those days. We even got into the chat room 15 minutes early. It seems that the Talkshoe wasn't releasing the call (which usually tells you "You are now unmuted" when you connect to the show) or that Skype wasn't connecting well enough to be recognized by Talkshoe. Poor Ryan was there in the room patiently waiting for the show to start and I feel like we let him down. Had to record it all offline in the studio and it came out alright.